Looking for skip bin hire Dolans Bay? You need an easy solution at the best price for your skip bin hire in Dolans Bay. You may need a one off skip bin for a bathroom renovation or to quickly get rid of pesky rubbish when moving house or giving your place in Dolans Bay a good clean out. 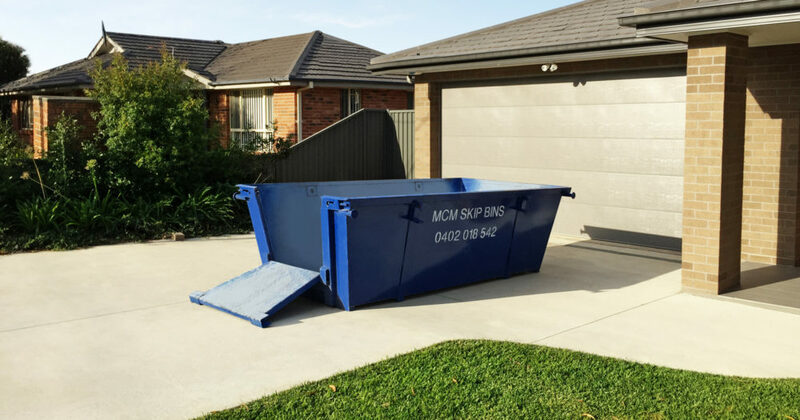 Changes in the backyard, larger renovations or the harder task of clearing out a deceased estate sees many of our clients call us and discuss which size would suit best a 3, 4, 6 or 8 cubic metre bin. You may be a homeowner, builder or tradesmen, our years of experience means we know all the right questions to ask you in working out which size you need, where to place the bin and checking if you need a rear door for easy access and loading. You may have steep or tight access, perhaps it’s a narrow driveway or there are low trees. Your job might be in a busy villa or townhouse complex. We have several different size trucks and are happy to take the time working out with you what the best options are for easy placement of the bin to make loading as easy as possible at your home or job site in Dolans Bay. Dolans is a beautiful peninsular suburb in the Sutherland Shire approximately 24 km south from the centre of Sydney. The pristine waters of the Port Hacking River surround Dolans Bay. This suburbs gives Sydney siders the opportunity to own prestigious, deep water front properties with stunning views across the bays over to the natural bushland of the Royal National Park. People are drawn to this area for the peaceful tree lined streets full of large family homes and amazing community life. Boating life is prevalent in this area. At Wally’s Wharf at the end of Port Hacking Rd in Dolans Bay our drivers carefully navigate bins on and off barges for builders undertaking waterfront projects. We are always open to listening and working with you to find logical solutions for your job.